Ah, do you feel that? It’s the magical change in atmosphere that can only be described as World Cup momentum. I know, it was only yesterday that we were saying “why does it have to end? 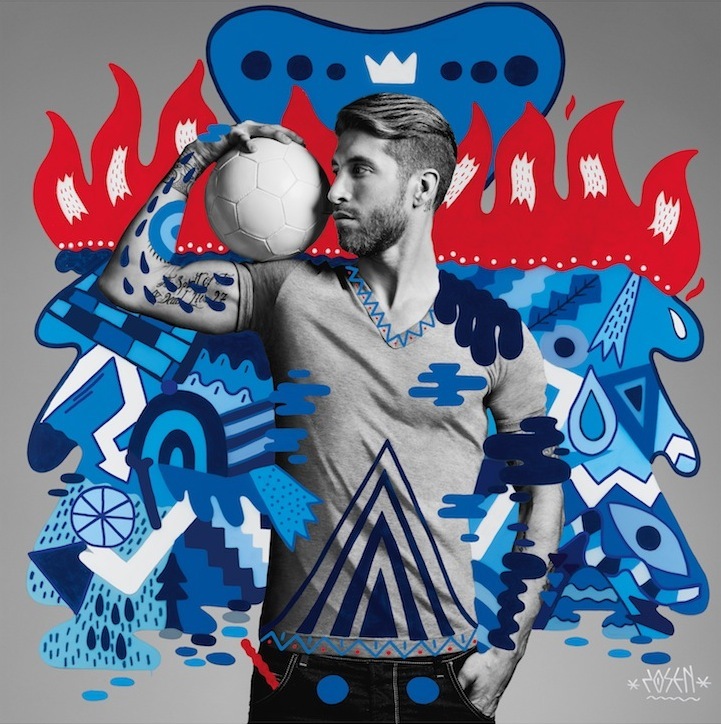 Why can’t everyday be World Cup?” Well, obviously we can’t have that because then it would mean world peace…end of climate changed and Sergio Ramos would be calling up my friend for a date…I was always told it was best to have aspirational thoughts. 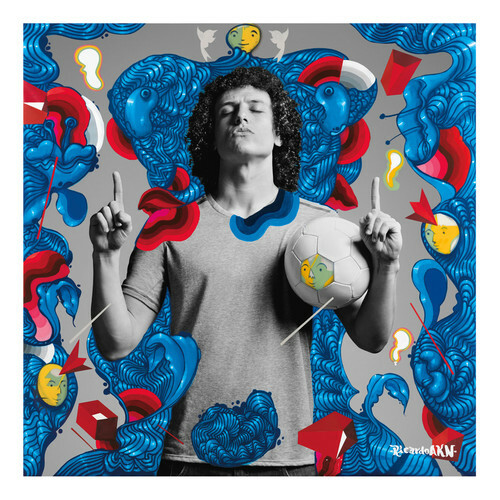 Apparently, the creative team at Pepsi is with us there and gathered your favorites and mine along with some amazing artists to create an ad campaign that both excites and amazes. 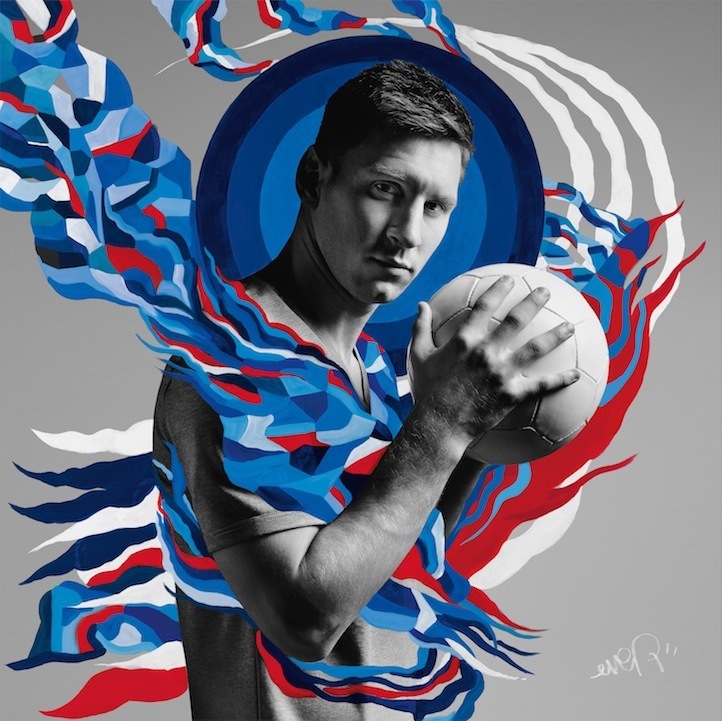 “The Art of Football” is a fusion between football, street art from six emerging artists and photography from the world renowned Danny Clinch. 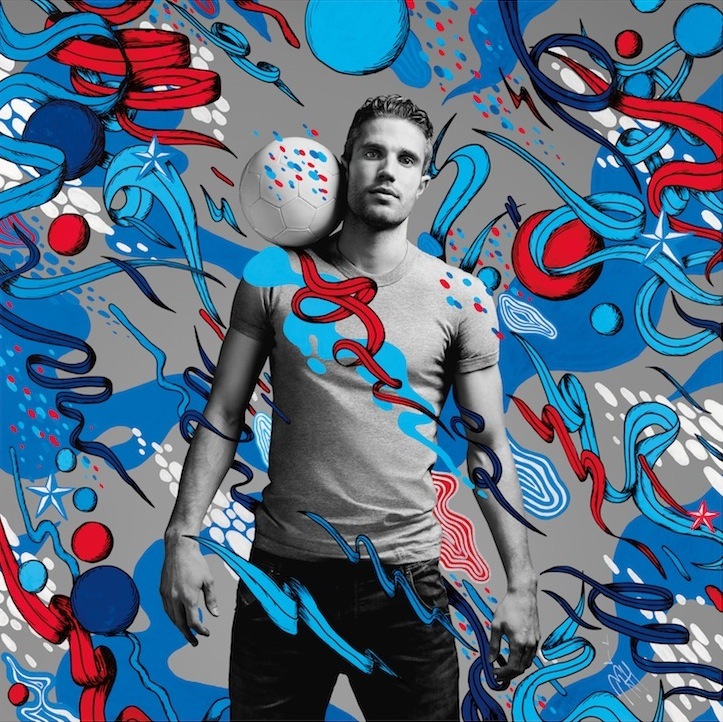 Pepsi MAX created artwork that depicts the footballers in a clash of color, energy and movement, which represents the vibrancy and spirit of their home countries. 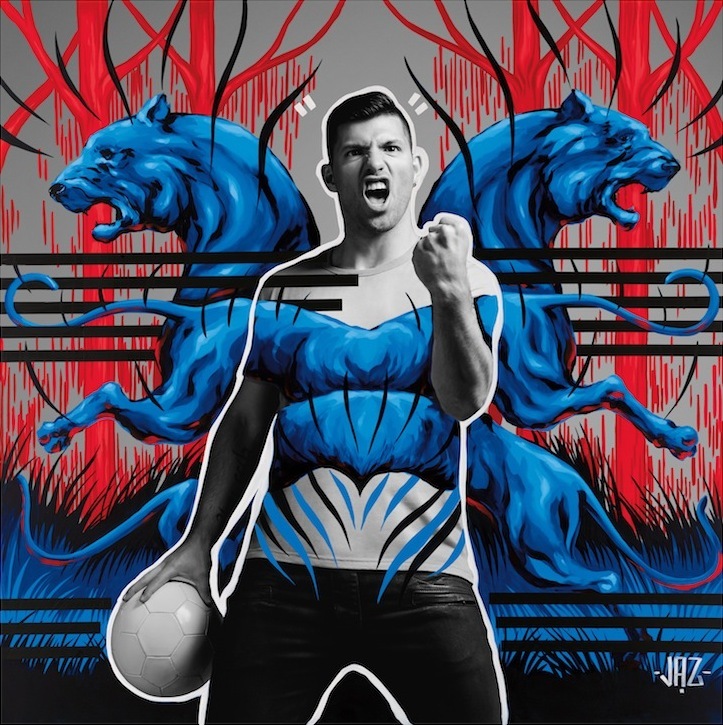 The participating artists were the UK’s professional doodle bomber Hattie Stewart, Argentinean urban artist Jaz, Brazilian illustrator and street artist Ricardo AKN, Spain-based visual artist Zosen, Merijn Hos visual artist from the Netherlands and Argentinean street artist Ever. 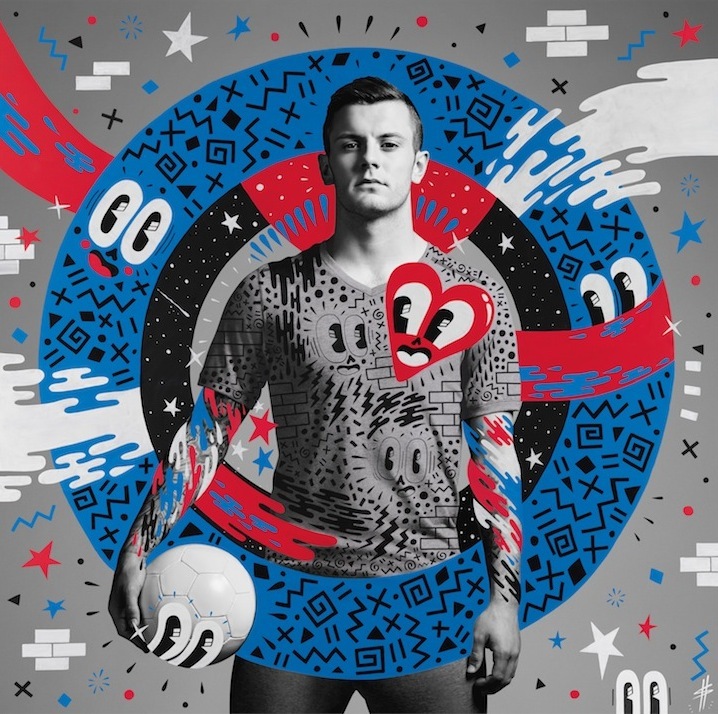 We can only sit back and wait for the next series of ads from Pepsi MAX as we get closer to the World Cup. Until then, enjoy these photos of your favorites!